There are a number of charity events currently taking place in school that are raising money for a number of worthy causes. Congratulations to Ollie, Meg and Isabelle from the Year 8 InterAct group who ran charity stalls over the weekend. 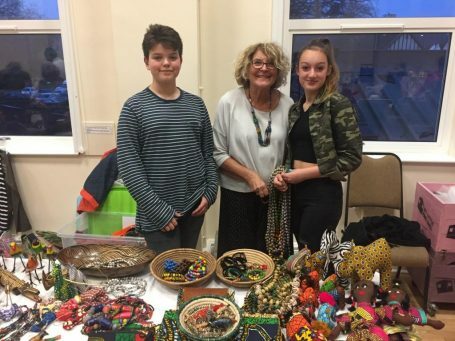 Ollie and Meg ran a stall at the Kemp Hospice Mothers’ Day Craft Event on Friday, while Isabelle raised money by selling ‘Be the Change’ charity badges at St Mary of the Angels Church, Aldridge. Thanks to students efforts the total money raised for Planting Hope for Uganda is now £3250! Students are still selling knitted chicks with a Cadbury’s Creme Egg tucked inside, where all money raised goes towards Cancer Research. There are still a limited number of chicks available to purchase from the school office for anyone still interested.